Don’t understand the legislative process? Click here to read an in-depth description of the process. What’s the difference between authorization and appropriation? Click here for an explanation. 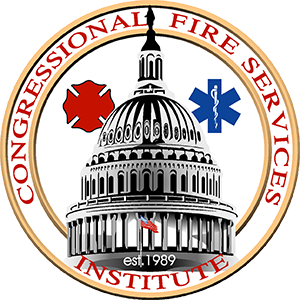 The following is a select list of fire service legislation. Click on the bill number for further information on the legislation, including details on the status of the legislation, a list of co-sponsors, or to read the text of the bill. You may also visit Congress.gov, the Library of Congress Legislative Database, for information on legislation introduced during the current and past Congresses. H.R. 451 introduced by Congressman Eliot Engel (NY-16) on January 10, 2019. Summary: The legislation repeals the T-Band auction requirement and ensures local first responders in the affected municipalities will continue to have the ability to communicate during emergency operations. H.R. 806 introduced by Congressman Mike Thompson (CA-5) on January 28, 2019. Summary: The legislation requires the addition of flame mitigation devices to consumer-grade portable fuel containers. S. 481 was introduced by Senator Amy Klobuchar (MN) on February 13, 2019. H.R. 1618 was introduced by Congresswoman Ann Kuster (NH-2) on March 7, 2019. Summary: The legislation establishes a federal grant program to assist states in carrying out carbon monoxide detector installation and education programs. H.R. 1241 was introduced by Congressman John Larson (CT-1) on February 14, 2019. S. 1210 was introduced by Senator Susan Collins (ME) on April 11, 2019. Summary: The legislation exempts from federal income tax any property tax benefit and up to $600 per year of any other type of benefit that a state or local unit of government provides to volunteer emergency responders as a recruitment or retention incentive. H.R. 1327 was introduced by Congresswoman Carolyn Maloney (NY-12) on February 25, 2019. S. 546 was introduced by Senator Kristin Gillibrand (NY) on February 25, 2019. Summary: The legislation fully funds and permanently reauthorizes the September 11th Victims Compensation Fund. H.R. 1646 was introduced by Congressman Ami Bera (CA-7) on March 8, 2019. Summary: The legislation provides funding for peer counseling programs for public safety officers, and collects data on post-traumatic stress among public safety officers to assist in developing best practices and improve measures to recognize, prevent, and treat mental health issues among public safety officers. S. 803 was introduced by Senator Pat Toomey (PA) on March 14, 2019. H.R. 1869 was introduced by Congressman Jimmy Panetta (CA-20) on March 26, 2019. Summary: The legislation to restores the incentives for investments in Qualified Improvement Properties, include fire protection systems, that were intended to be included in the Tax Cut and Jobs Act of 2017 (P.L. 115-97).